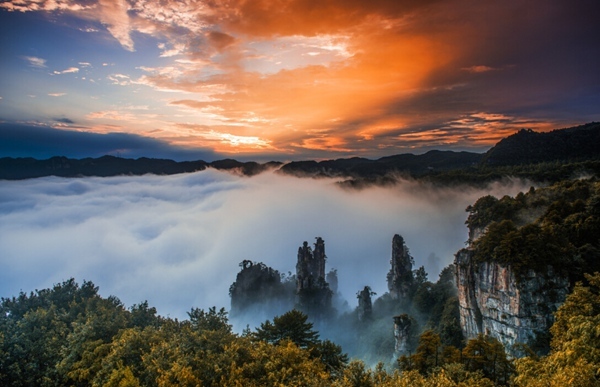 Tianzishan is located in Zhangjiajie Avatar Park, is also often said that part of Zhangjiajie National Forest Park, it is one of Zhangjiajie must-seeing attractions. 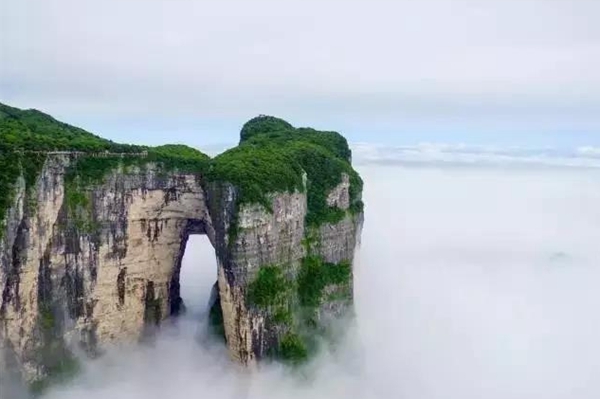 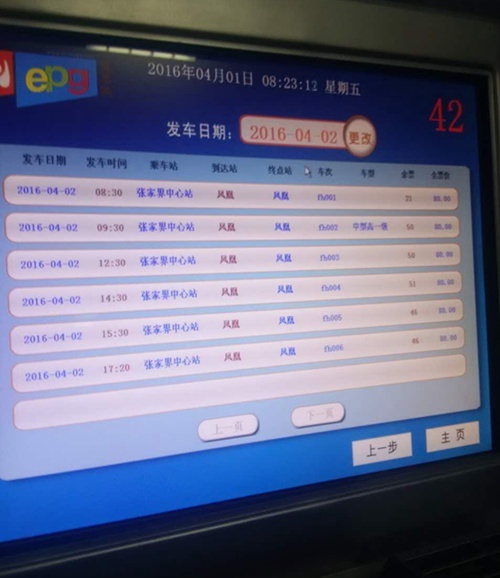 Zhangjiajie Avatar Park also contains other attractions: Yuanjiajie, Yangjiajie, Huangshizhai, Jinbianxi, Shilihualang. 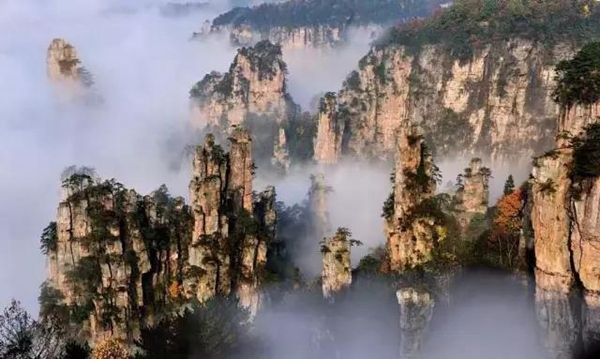 Zhangjiajie Avatar Park is very large, Once ticket (Price 248 yuan, annual ticket 298 yuan), including entrance fees and park bus, you can visit four days, generally takes 2-3 days tour time. 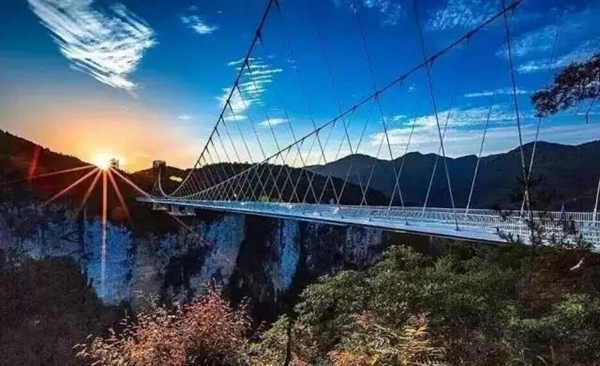 Tianmenshan is located in Zhangjiajie urban area, Tianmenshan cableway station is also in the city center, adjacent to Zhangjiajie railway station and bus station and airport, its traffic is very convenient, take a 30 minute cable car can go to the top of Tianmenshan. 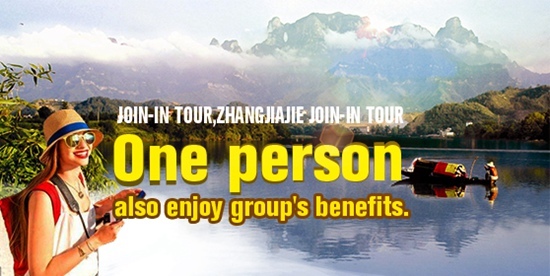 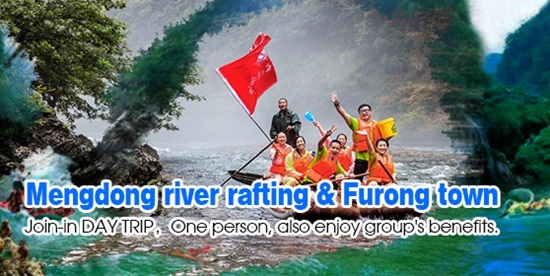 This whole tour time only 4-6 hours, the main attractions:Tongtian Avenue, Tianmen hole, Glass plank road, Guigu plank road, Tianmenshan Temple and so on. 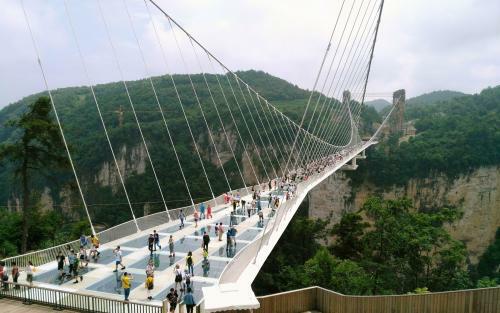 The Glass bridge is located in Zhangjiajie Grand Canyon, it is adjacent to Wulingyuan core area and Huanglong Cave. 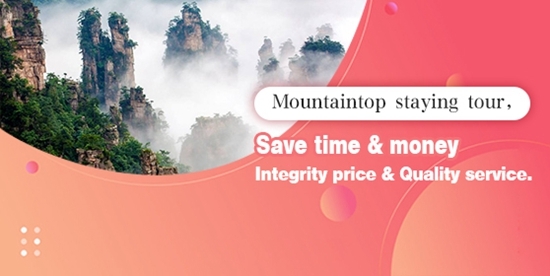 The Glass bridge tickets are not included in Grand Canyon tickets, need to pay another 141 yuan. 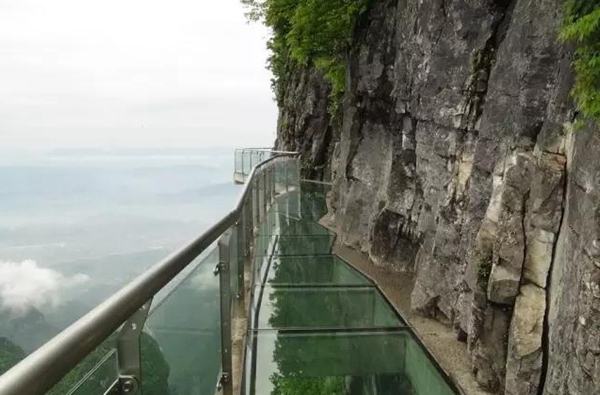 The Glass bridge is built in Grand Canyon between the two peaks, from the bottom of the height of about 400 meters, the bridge length of 370 meters, The bridge is covered with transparent glass, the standard to achieve the most of the world, visitors can experience the feeling of walking in the air on the bridge. 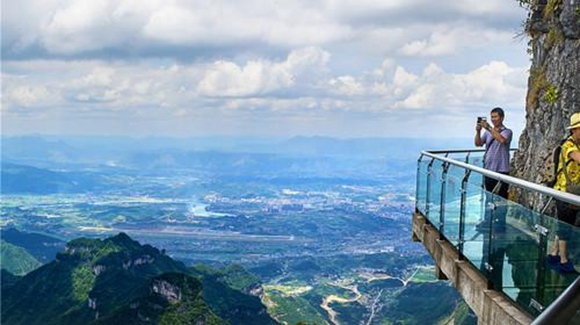 Glass plank road is located in Tianmenshan National Forest Park, tickets have been included in Tianmenshan park entrance fee, only need to purchase another shoe cover (5 yuan),The glass plank road is built on the edge of the cliffs of the Peak of Tianmenshan, it is thrilling glass plank road and makes the tourist legs soft, connected with the ghost valley plank road.